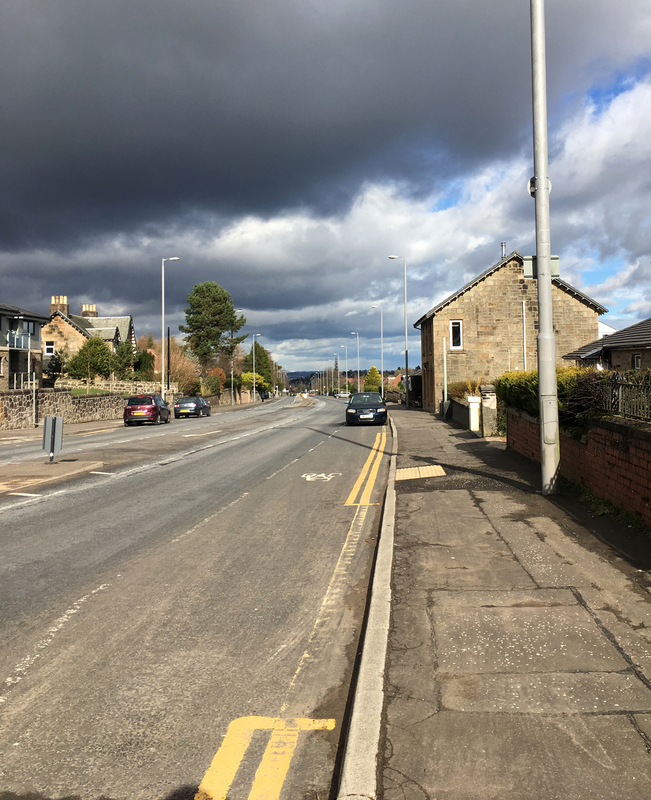 We are asking East Renfrewshire Council to improve the safety of the cycling space on the A77 Ayr Road in Newton Mearns by turning the bike lanes to segregated or at the very least, mandatory status in order to prevent parking in them, and by improving the dangerous left hand turn junction near Whitecraigs Station at Davieland Road. 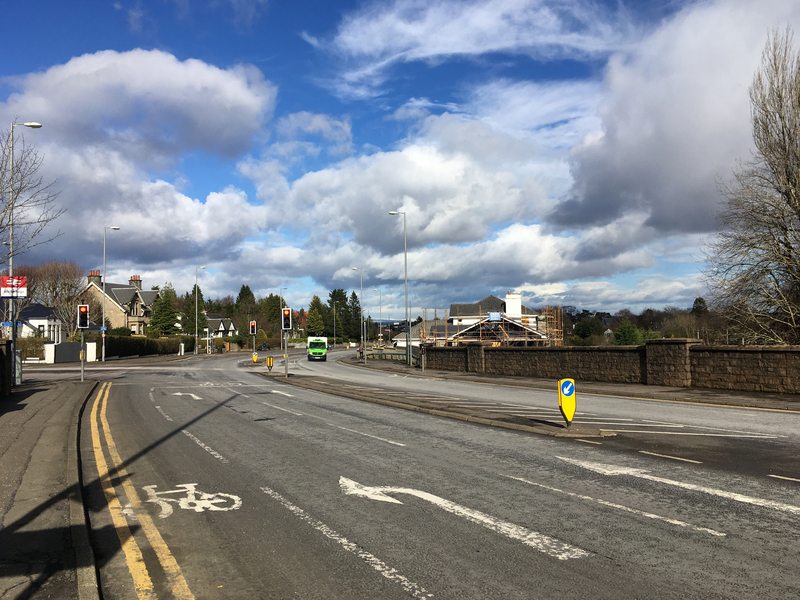 The cycle lanes that exist on Ayr Road are the one almost safe haven for cycling there is in East Renfrewshire. Although they are only painted lanes they are a good width in comparison to other cycle lanes in Glasgow, and are used by a large number of people on bikes. Rather than upgrading these to segregated cycle lanes, the status of the cycle lanes was recently downgraded from Urban Clearway to advisory cycle lane with occasional double yellow lines. 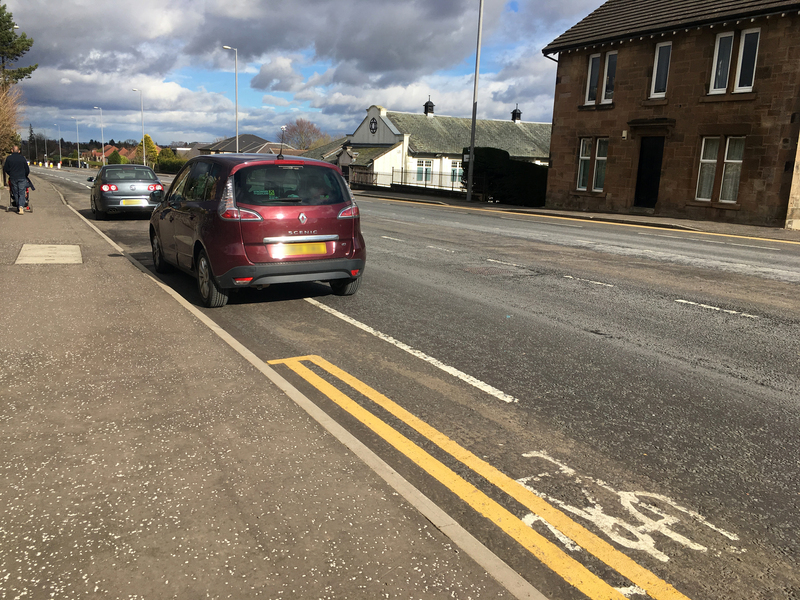 We feel that parking is now encouraged in the cycle lanes due to this downgrading and because the double yellow lines within the lanes, appear to indicate to drivers that parking where there are no double yellows is acceptable. 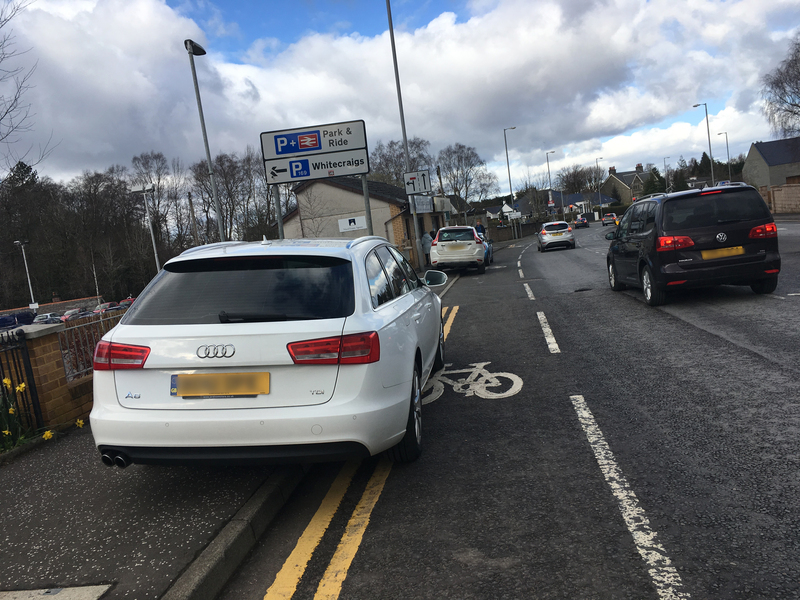 It is not acceptable, and while not illegal, it is dangerous and inconsiderate to park in the cycle lanes as it forces people cycling out into the stream of fast moving traffic. Rule 140 of the Highway Code clearly states: Do not drive or park in a cycle lane marked by a broken white line unless it is unavoidable. 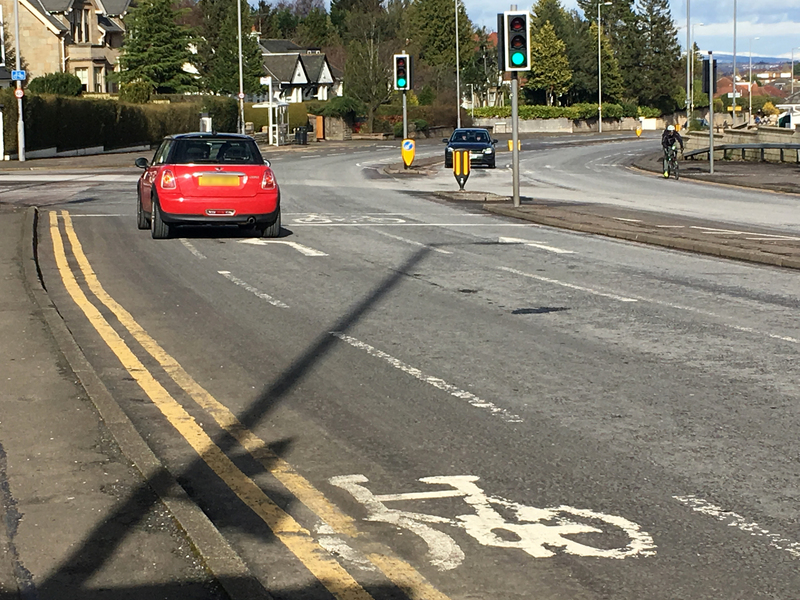 The junction at Whitecraigs Station at Ayr Road and Davieland Road, has a dangerous layout that we call to be improved. The design suggests that people on bikes travelling north (downhill) remain on the far left of the road even if travelling straight on. 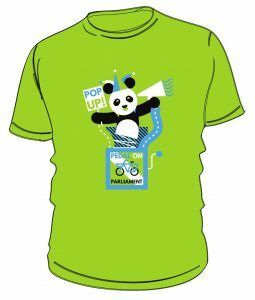 This creates increased risk of left hook collisions. We would like to see road marking changed to encourage people on bikes to the right of left turning vehicles when heading straight on. 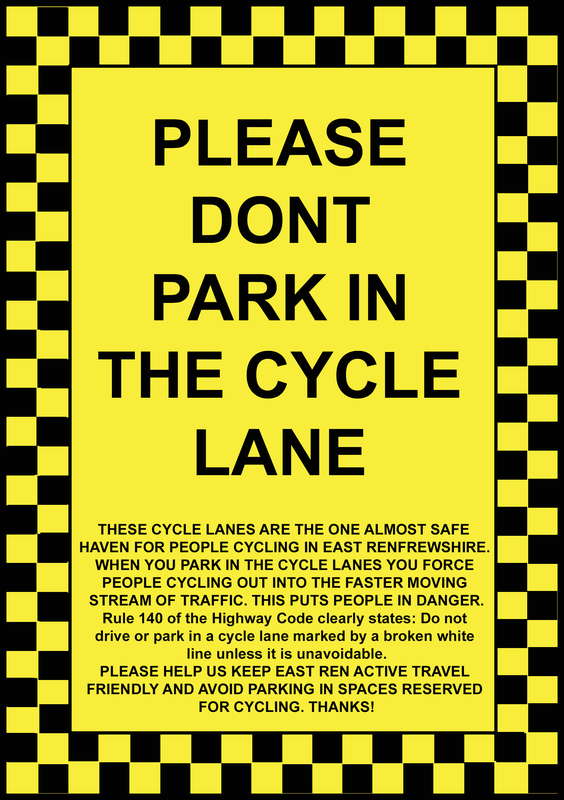 We will ride hill repeats of the Ayr Road to ticket (flier) cars parked in the cycle lanes. 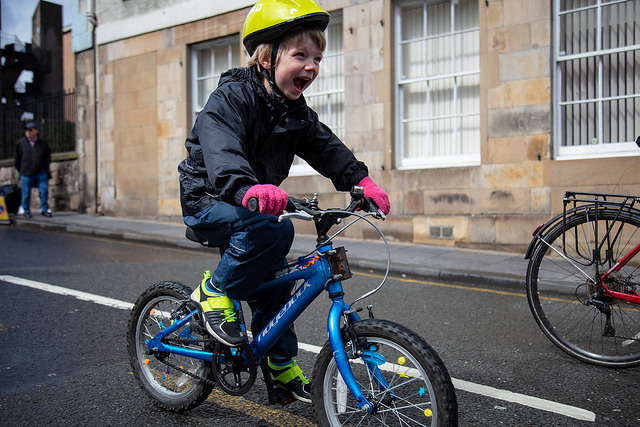 We will photograph the crowd of supporters that join us on our hill climb protest, and send our asks and photos to East Renfrewshire Council to see if we can get things improved.